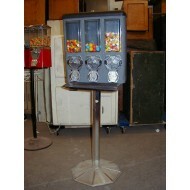 Vintage Brown Gumball Machine "Oak" ..
Vintage Brown Gumball Machine "Oak"
Vintage Red Gumball Machine .. 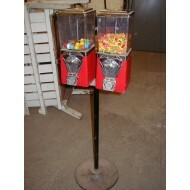 Single Head Gumball Machine on Stand ..
Twin Head Gumball Machine on Stand .. 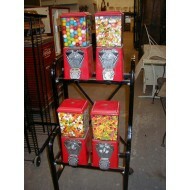 Triple Crown Gumball Machine on Stand ..
Four Head Gumball Machine on Rack ..